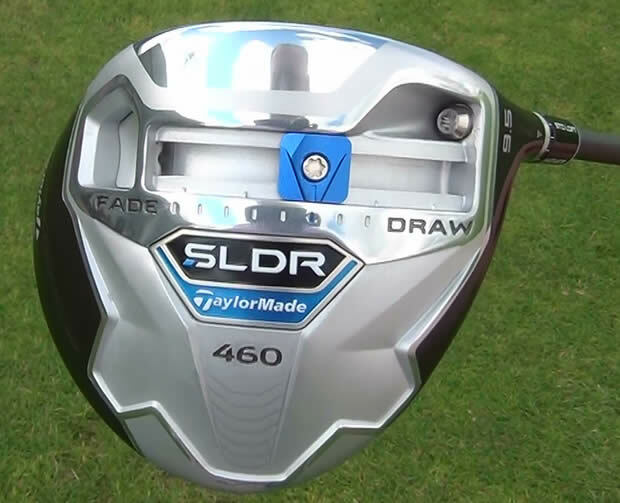 Since 2008 when manufacturers could start creating adjustable golf clubs, it has become an increasingly common feature on a number of golf clubs right through the bag. What Is Golf Club Adjustability For? Some think it is to change the set up of the club depending on conditions, which can be done. However the real benefit is as a one time fitting tool so the golfer can make small adjustments to the club to customise it to their swing in a way that was not possible before. The benefits of custom fitting are well known and with manufacturers actively promoting the importance of fit when buying a new club, adjustability allows the golfer, either alone of as part of a custom fitting process, to fine tune the club for maximum performance. One of the most common adjustable features in drivers, fairway woods and hybrids is the hosel allowing users to change loft and/or lie. The loft of the club is very important as it is the angle of the face when it arrives at the ball and that is a primary factor impacting the launch conditions of the ball. Being able to adjust the loft allows golfers to achieve launch angles and spin rates that are suited well to the way that they deliver the club. When you adjust a hosel to increase loft, you are actually closing the face fractionally. Conversely when you reduce loft you are open the face slightly. Some clubs counter this visual change by allowing you to also change the face angle by using balance points on the sole. As you change the loft and the face angle, you will also change the lie unless there is a separate setting to alter the lie independently of loft. Loft changes the ball flight vertically and lie changes the ball flight horizontally. If you increase the lie angle up, then this should create a fade and if you reduce it down then it should create a draw. It is therefore very important to be professionally fitted for an adjustable hosel club so that you get the right combination of loft and lie for your swing. How Do Adjustable Hosels Work? Most loft and lie adjustments are located in the hosel and are made by releasing a screw that connects the shaft to the club head and moving the clubhead to a new, pre-determined setting. Technically the hosel on the shaft is inserted into the shaft receptor on the head which is slightly off centre so that the various options on the hosel shaft will give the desired adjustment to the head when it is tightened. Does Adjustability Affect Other Performance Factors? Fairway woods and drivers with adjustable hosels tend to have a higher centre of gravity due to the extra mass of the bigger hosel. Designers can do things to counter this, for example by sloping the crown downwards or by adding discretionary weighting on the sole. However having any form of adjustability lessens the amount of weighting you can use elsewhere on the club to influence the centre of gravity. The other key method to allow golfers to adjust the set up of their golf club is the use of moveable weights. The ability to move these weights either left to right or up and down has an impact on the centre of gravity of the club which in turn directly impacts on launch conditions with a bias towards a left/right or low/high ball flight. Prior to the rule change in 2008 to allow adjustable clubs, putters were already permitted to have moveable weights in the head. A common method is by offering a series of weights that can be screwed into the sole of the putter to allow the golfer to adjust to different speed of greens. 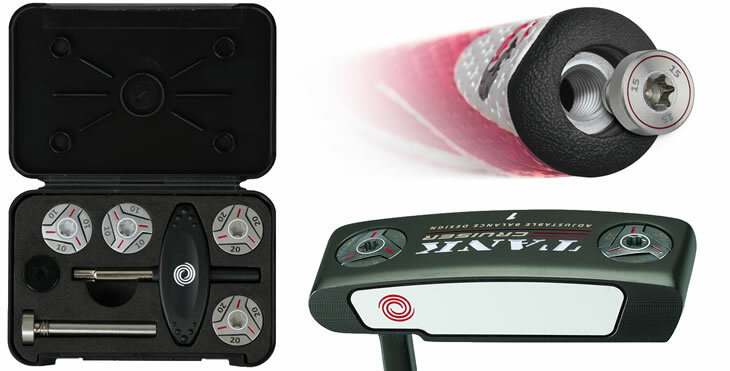 More recently putters are being designed with adjustable weights in the grip end of the club which impact the balance of the putter. This counterbalance effect increases the Moment of Inertia of the putter to create less twisting on off centre hits and increases the number of centre face strikes. Another adjustable feature recently introduced to the market is the option of an adjustable telescopic shaft that gives the golfer the ability to change the length of the putter by 7 inches. Again there is a trade off between the weight of the adjustability system and the benefit of a customised shaft, so it is important to try these features out. Guide to Moment of Inertia and how it affects your mishits.